Home-ownership is an important part of the fabric of America, and having a stable home environment is vital when men and women of the Military are called away to serve their country. That’s why working with a REALTOR® who understands their specific needs and timetable will help make the transfer easier, faster and less stressful. Promote yourself with us!!! We only want best-of-the best MRP's in the Country!!! Do You Want To Be The Be The Number One Military Relocation Professional In Your Area? HOW WE ARE DIFFERENT. BETTER. Unlike our competitors we combine a Press Release service with our own media monitoring websites which annually serve millions of people. Your Press Release will be seen by Journalists, Business, Industry. Military, Real Estate & Government Professionals categorized by geography and topic. 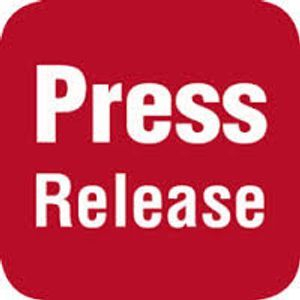 Whether you are looking to broaden the reach of your Press Release or need to target a specific audience, EIN Presswire is an efficient and cost effective place to start and a point of distribution that should be added to your strategy. How Can I Increase The Effectiveness Of My Press Release After It’s Distributed? 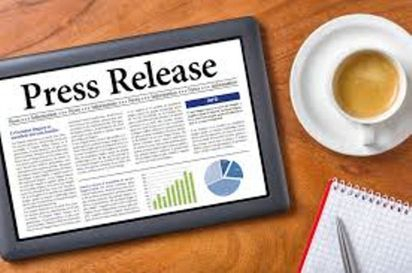 There are a number of ways to increase the effectiveness of your Press Release after it has been distributed using a Press Release distribution service. It is all a question of establishing a workflow that you will use for all your releases. Press Releases are written in a certain format, with a particular style and tone. There are templates available that can help you learn how to write the kind of Press Release that journalists will be impressed by and willing to pick up, rather than pass over because it looks so unprofessional. A picture can be worth a thousand words, and a video tens of thousands. Include at least one high-quality image. Studies have shown that Press Releases with media included tend to be picked up seven times more than those which don’t. If it is permitted by the distribution service, include a video, or the embed code for your video. Consider doing a video or audio version of the Press Release. Promote the YouTube and other URLs to attract a wider audience. Create an online newsroom for your business, with links to all of your Press Releases and other media-related activities. Link each Press Release by title. Include the date next to each Headline. Link to your media pages, where you will post your images, and links to your videos. For the videos, include title and date, and link to the page where you have embedded the code for the video. 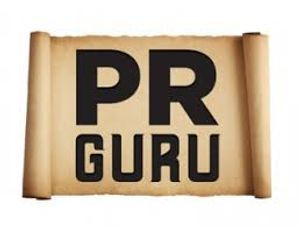 Once you have published the Press Release, promote it on social media as well, for even more promotional opportunities. Encourage anyone who has a site or blog to pass along the information to their readers. Once your pickups start coming in, list the best ones under the Headline at your online newsroom. Also announce them at your social media accounts, with a link. If any media representatives are following you, this could encourage them to give you a pickup, as well. If the goal of your Press Release was to get more subscribers or sales, be sure to check your reports to see if you’ve accomplished your goal. Always include a call to action in your Press Release and encourage others to pass along your information to anyone else who might be interested. When You Purchase A Press Release With Us, We Place You On ALL Of The Following Military Websites ~ Because Of Our Commitment To Making You The NUMBER ONE MRP In Your City And State. 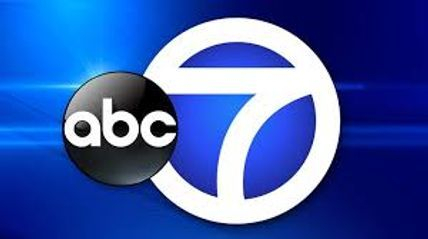 Your Press Release Will Be Sent To All Of The Television Stations, Radio Stations and Newspapers In YOUR State!!! Your Press Release Package Includes: A Complimentary Business Profile On The "Did You Serve?" Website: https://www.didyouserve.org. "Did You Serve?" 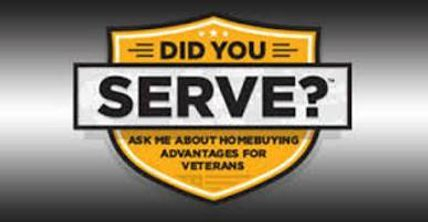 Is An Awareness Initiative Created To Better Educate Homebuying Service Professionals, Particularly Real Estate Agents, About The Homebuying Benefits Military Service Members And Veterans Have Earned Through Their Military service. Nearly 2 Million Veterans Have Searched For Information Regarding The VA Home Loan In The Last 12 Months. As A Military Relocation Professional (MRP), Let Them Know That They Can Find You And Count On You! "Did You Serve?" Offers All Of This And So Much More!!! Your Press Release Package Includes: Access To Military Installations ~ The Official Department Of Defense (DoD) Website ~ http://www.militaryinstallations.dod.mil/MOS/f?p=MI:ENTRY:0. Military Installations Gives You All Of The Information You Need For The Military Base Closest To You, Including Statistics On The Military Population In Your Area: Active-Duty, Dependents, Civilians, Contractors, Guard/Reserve, Veterans, Retirees And So Much More!!! Your Press Release Package Includes: A Complimentary Business Profile On The MilitaryAgent™ Website: http://militaryagent.net/ MilitaryAgent™ provides licensed Real Estate Agents with quality referrals of Active Duty Service Members, Reservists, and Veterans looking to purchase their next home. MilitaryAgent™ is an independent service that partners with local Real Estate Agents from top real estate companies such as Keller Williams, Coldwell Banker, RE/MAX, Berkshire Hathaway Home Services, Century 21, and many more!!! Your Press Release Package Includes: Access To Realty Times ® ~ Website: http://realtytimes.com/ From Buying And Selling Advice For Consumers To Money-Making tips For Real Estate Agents. The Content, Updated Daily, Has Made Realty Times® A Must-Read, And See, For Anyone Involved In Real Estate. 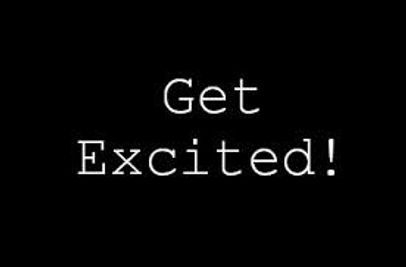 You Will Receive Real Estate News In Your Inbox, You Can Submit Articles, Learn What Other Agents Are Saying And So Much More!!! 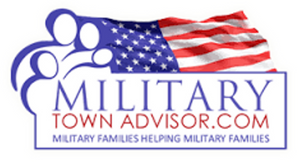 Your Press Release Package Includes: A Complimentary Business Profile On The Military Town Advisor Website: http://www.militarytownadvisor.com/ This allows people to find Military Friendly Realtors through the Realtor Directory. When they see the Military Friendly Logo, they can trust that the agent understands the needs of Military families. Due to the fact that the PCS relocation process in a Military environment happens quickly, it can be extremely stressful. Military Town Advisor's on and off base reviews help families make an informed decision on where to begin looking for a place to live that will fit with each family's goals and lifestyle choices. Your Press Release Package Includes: Access To The Military By Owner Business Directory Website: http://www.militarybyowner.com/business_directory/default.aspx?F_State=&F_Base=&F_Type= Military By Owner Provides A Comprehensive Low Cost Means For Military Members And Their Families To Advertise Their Homes For Sale Or Rent And For Real Estate Agents To Promote Themselves. The Service Is Provided throughout The Entire Year And Encompasses All Locations Where Military Members May Be Stationed To Include Overseas Assignments. Your Press Release Package Includes: A Complimentary Personal Profile On The Automated Housing Referral Network (AHRN) Website: https://www.ahrn.com/ ~ AHRN is the preferred and trusted housing referral resource for the Military community around the world designed to assist the Military community locate available housing. Post your listings where they can be seen by Military families moving to your area! AHRN.com provides the Military community with convenient access to accurate information on available housing from anywhere in the world 24/7/365!!! Your Press Release Package Includes: A Complimentary Personal Profile On The Military Listings Website: https://www.militarylistings.com/ ~ Where People Can Explore Thousands Of Homes Near Military Bases In The U.S. And Around The World!!! Your Press Release Package Includes: A Complimentary Personal Profile On The Military Home Store Website: http://militaryhomestore.com/ ~ Military Home Store advertises homes for sale and rent close to Military Bases, offering services to Real Estate Agents to help Heroes find Homes. The Military is always moving! Get your listings exposed by posting and nationally syndicating your off base home for sale or for rent right here on the newest, featured-filled site dedicated to Real Estate in Military towns!!! 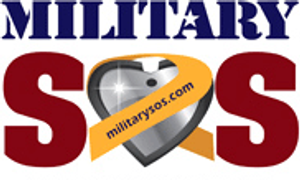 Your Press Release Package Includes: Access to the Military.com ~ Website: http://www.military.com/. Military.com Was Established In 1999 To Revolutionize The Way The 30 Million Americans With Military Affinity Stay Connected And Informed. 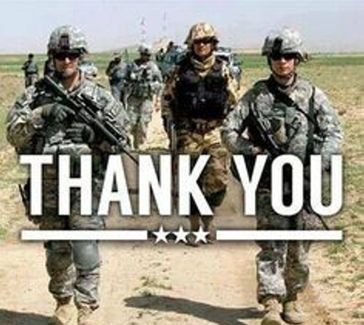 Today, They're The Largest Military And Veteran Membership Organization — 10 Million Members Strong!!! Your Press Release Package Includes: Access To The Military Real Estate Website ~ http://militaryrealestate.us/ Military Real Estate Is An Online Real Estate Listing Portal Which Is Disabled Veteran Owned. Their Goal Is To Facilitate All Real Estate Transactions Involving Buying, Selling, Or Renting. Their Special Focus Is On Military Members And Their Families. The Aim Is To Make Transitions Easy For Them. You Can Login To Your Account At Anytime To Add New Listings, Make Changes To Your Listings, Add Or Update Photos And So Much More!!! Your Press Release Package Includes Access To The PCS Grades Website: https://www.pcsgrades.com. PCS Grades Is Truly Built BY Military Families FOR Military Families. The Co-Founders Are Former Active Duty And Reservists. The Team Is Comprised Primarily Of Amazing Military Spouses Who Are Excited About Helping Other Military Families. 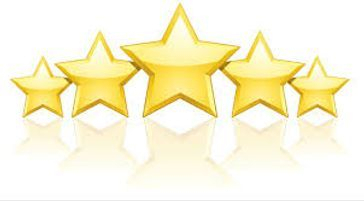 The Website Allows People To Search Reviews,To View Feedback From Fellow Military Members, Veterans, And Spouses For Off-Base Neighborhoods, Base/Post Housing, REALTORS, Mortgage Lenders, Moving Companies, Apartments, Schools And So Much More!!! Your Press Release Package Includes A Free Mobile App From Homesnap. SNAP A Photo Of Any Home To Find Out All About It!!! 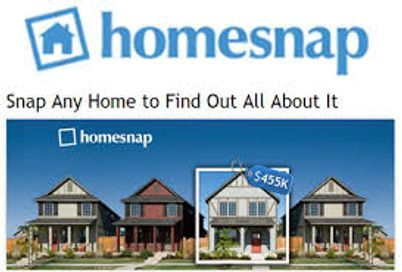 Also, Homesnap offers TONS of Real Estate News in your local community!!! Website: https://www.homesnap.com/. Homesnap Is A Mobile Application That Offers Real-Time MLS Data To Real Estate Professionals, Buyers And Sellers. Homesnap Puts An Unprecedented Amount Of Information On Smartphones, iPads And Tablets, Giving Real Estate Agents And Their Customers The Flexibility To Research Homes And Communicate With Clients/Friends Instantly From Their Mobile Devices. Homesnap Messages Was Specifically Built For Real Estate Agents. For Your Buyers, Keep Track Of The Homes You’ve Discussed In One Place. For Your Listings, All Related Conversations Appear On The Listing And So Much More!!! Your Press Release Package Includes: Signing Up On The Intelligent Writers Forum - The Real Estate Marketers Blog - Website: https://www.realestatemarketingblog.org/ ~ And Receiving Their Newsletter Via E-Mail. 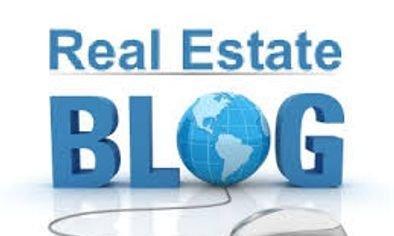 The Real Estate Marketers Blog Was Started In 2006 As A Free Resource To Real Estate Agents And Brokers Who Needed Some Serious Direction When It Came To Marketing Their Real Estate Businesses Online. They’ve Found That The Best Advice Comes From Years Of Experience, Many Failed Projects And Even Many More Successful Ones. More Specifically, The Real Experts Are The Ones That Research, Plan, Test, Analyze, Optimize And Then Repeat The Whole Process Over Again And Again. These Are The People You, As A Real Estate Agent, Want Advice From!!! 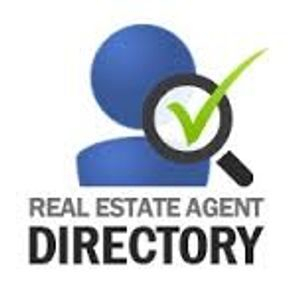 Your Press Release Package Includes: A Personal Profile On The Facebook Real Estate Directory ~ Website: https://www.facebook.com/realestateagentdirectory/. 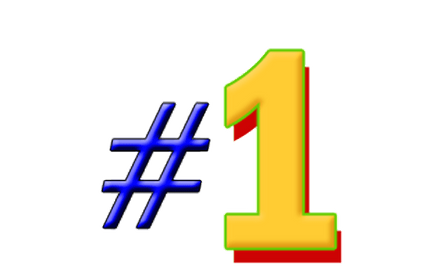 The #1 Place On Facebook For Connecting Home Buyers And Sellers With Real Estate Professionals. In Addition To the Directory, The Company Provides Social Media Services For Networking, Advertising, Marketing, Content Management, Referrals, CRM, Offer Management And So Much More!!! Your Press Release Package includes A Free Account On Brand Yourself ~ Website: https://brandyourself.com/reportcard. Brand Yourself Empowers You To Put Your Best Foot Forward Online. Brand Yourself Offers Tools As Well As Custom Services, Including The Original Do-It-Yourself Online Reputation Management Tool Set. When Prospective Clients Google Your Name, It's Crucial That They Find Positive, Relevant Information About Your Most Recent Accomplishments And Accolades. 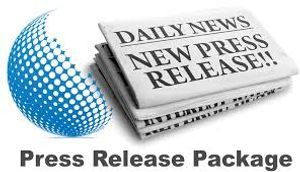 Your Press Release Package Includes: Access To The Direct Real Estate Response Marketing And Management Company Website: http://www.prospectsplus.com. Prospects Plus Offers Personal Marketing And Business Development Solutions For Real Estate Professionals Nationwide. 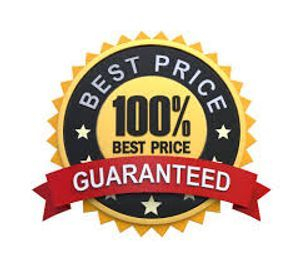 Prospects Plus Is A Provider Of Web-To-Print Direct Mail Systems, Small And Large Postcards, Door Hangers, Folders, Tri-Fold Brochures, Just Listed Announcements, Branded Sales Advice Articles, In-House Printing, Laminating, Fulfillment Services And So Much More!!! Your Press Release Package Includes: A Complimentary, Interactive Personal Profile On The Rally Point Networks Website: https://www.rallypoint.com/ ~ Rally Point Networks, Inc., is a privately held American company founded in 2012 by Military Veterans Yinon Weiss and Aaron Kletzing at Harvard Business School. The Company is a Professional Network serving the U.S. Military and its Veterans, and has been called the "LinkedIn" for the Military, empowering Military personnel to take greater control over their own careers. The community allows current Military members and Veterans to connect, explore career and housing opportunities both inside and outside of the Military, and engage on topics important to the Military, and so much more!!! 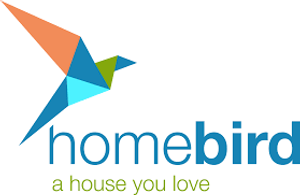 Your Press Release Package Includes: A Complimentary Personal Profile On The Homebird Website: https://www.homebird.com - Do you have what it takes to become a HomeBird agent? HomeBird provides high quality leads to top Real Estate Agents. There is no upfront cost per lead or to sign up. HomeBird only requires a 25% referral commission (only if) the lead successfully closes. HomeBird only allows the very best Real Estate Agents to join their Network!!! Your Press Release Package Includes: A Complimentary Personal Profile On The Real Estate Military Website: http://www.remilitary.com/ ~ REmilitary.com is designed to help families find Military housing, sell their homes by owner, and assist Real Estate Agents and Brokers in reaching a unique and powerful market. REmilitary.com is the most comprehensive listing of houses for sale and rent near Military Installations. What's their secret? For the last seven years, they have built up an extensive Network of websites targeting Military families all over the world. With hundreds of thousands of monthly users, they see REmilitary.com Ads over 40 million times each month. Yes, 40 million times. Every month. That's a lot. It's important that you be there where they are as an MRP!!! Your Press Release Package Includes: A Complimentary Business Profile On The Prestigious Agent Hero Website: https://www.agentherorealty.com/ ~ When Military families choose AGENT HERO, they're choosing the AGENT HERO Code of Conduct, a Real Estate Agent they can trust for excellent service. Your Press Release Package Includes: A Complimentary Business Profile On The Distinguished Home Light Website: https://www.homelight.com/ ~ The people at Home Light are passionate about making Real Estate better. That’s why they’ve built the best new way to find a Real Estate Agent, and it works by matching clients with Real Estate Agents based on their actual skills and experience. 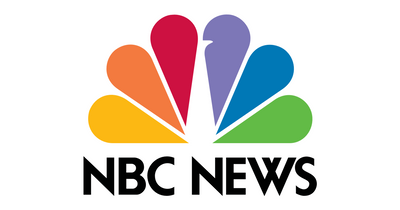 Watch The Home Light Video Which Airs On National Television!!! Your Press Release Package Includes: A Complimentary Business Profile On The Top Agents Ranked Website: http://www.topagentsranked.com/ ~ The People At Top Agents Ranked Focus On Top Performance. That’s Why They’ve Built The Best New Way To Find A Real Estate Agent, And It Works By Matching Clients With Real Estate Agents Based On Their Actual Skills And Experience. To Make The List, Real Estate Agents Need To Be In The Top 5% Of The Industry And They Must Have Proven Market Performance, Superior Customer Service And The Reach And Ability To Close A Deal -- All To Achieve Their Customers Goals And Winning Performance!!! Your Press Release Package Includes: A Complimentary Business Profile On The PCSing.com Website: http://www.pcsing.com/articles/looking-for-military-friendly-realtors. PCSing.com Is Looking For Military Friendly REALTORS® By Each Base Or Post To Help With Their Military Base Referrals. 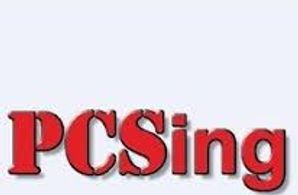 PCSing.com Is Now Live And Expanding Every Day With New Listing, Post , Articles And New Information Modules To Help Our Military Family Make The Right Decision When PCSing. HELP THEM GROW!!! IT's FREE To Military Friendly REALTORS® !!! Your Press Release Package Includes: Signing Up For The Newsletter On The Military Times Website ~ MilitaryTimes.com Is A One-Stop Online Source For Breaking News; Personal Finance Information; Healthcare; Recreational Resources; Exclusive Videos And Photos; Guard And Reserve Information; And An Expanded Community Area Connecting Service Members, Military Families, Veterans And So Much More!!! Your Press Release Package Includes A Complimentary Agent Profile Page On The Real Satisfied ~ Website: http://www.realsatisfied.com/. You May Only Get One Opportunity To Get Your Client’s Attention For Detailed Feedback On Your Performance. Real Satisfied Provides An Interactive Customer Satisfaction Survey That Your Clients Will Respond To In Full. This Allows You To Listen In Ways You've Never Been Able To Listen Before. You Can Also Post The Glowing Results On Your Website And Social Media Pages!!! This Is The Most Exciting Part Of The Process!!! We will conduct a scheduled phone interview with you where you will tell your life story. This usually takes about an hour. We then write the first draft of your Press Release and send it to you in a Word Document. You will then be able to look it over, edit it and make any changes before we publish it. We will not publish your Press Release until you submit the final draft. In 1,000 words, your readers will truly get to know who you are. Thanks to computers and the Internet, not only is there a Real Estate office on almost every corner, but today’s buyers also have online access to an unlimited number of possible agents and brokers. When they're looking for a Real Estate Agent, they obviously want the best. Our professional Press Releases make you stand out, look good and show your credentials while telling your unique story. It Doesn't Get Better Than That!!! 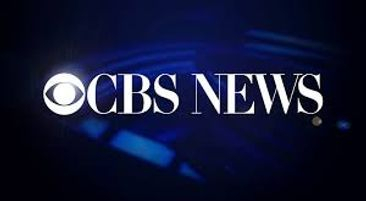 Your 1,000 Word Press Release will go to all of the online Military Bases, Real Estate & Property Management, Social Media News, Banking & Investment News, Media & PR as well as major online Newspapers across the country. It will be professionally written and published upon your final approval. This includes an Embedded Video, and Embedded Website, 3 images (Your Picture, the MRP Logo, and Your Business Logo) plus 3 hyperlinks to your sites. You will receive a Distribution Report via e-mail upon publication. STAND OUT FROM YOUR COMPETITION!!! All Of Our Press Releases Are Mobile Optimized!!! Real Estate Professionals know that their customers are uber-connected and informed. Nine in Ten home buyers today rely on the internet as one of their primary research sources, and 92 percent turn to the web as their first step. In fact, Real Estate related searches on Google.com grew 75% year-over-year. Additionally, approximately one-fifth of Real Estate related searches happen on mobile devices, and Google Real Estate related searches on mobile devices grew 320% percent year-over-year from 2013 to 2015. Over the past decade, our world, and particularly the world of house hunters has become increasingly digital because consumers are going online at a rapid pace to look for information to support their buying decisions. They look up specific brands and Real Estate agents on search engines, and even research on the go with their smartphones and tablets. 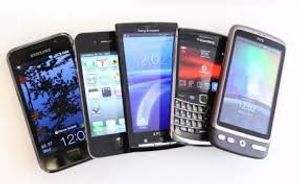 90% of new home shoppers use a mobile search engine so we've got you covered on ALL levels!! !